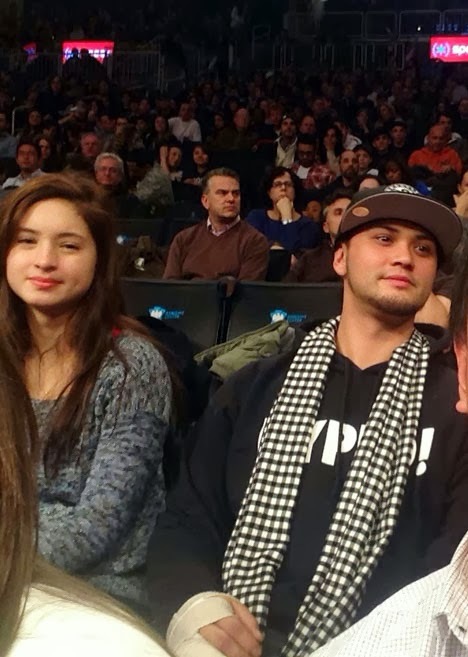 Billy Crawford is courting Coleen Garcia. The “It’s Showtime” mainstay has finally admitted the real score between him and his co-host. “Coleen and I are not boyfriend and girlfriend. We are not a couple yet. That’s pretty much it,” Billy revealed after his photo with Coleen watching an NBA match together went viral online, which sparked rumors that they’re already an item. The host-singer also admitted they had a date in New York last month. “It’s vacation time. The ‘Showtime’ family, we all had different places to go. I was talking to Coleen and I said I was going to New York to see old friends, to see my family. And then Coleen said, ‘Oh, I’ll be in New York too, with my friend.’ And then later before leaving, I found out that Ryan Bang was also going to New York. We met up with Ryan as well,” he said, according to an ABS-CBN News report. “But to be honest with you, yes, I did ask Coleen to watch the game with me before leaving. I bought the tickets beforehand and I said, ‘You know what, I would love to go there in New York and actually spend time with you, to watch the game and have dinner,’” he explained, referring to the December 27 match between the Brooklyn Nets and the Milwaukee Bucks. On the other hand, Billy confessed rumors almost thwarted his plans for Coleen. “I know she really wanted to pull away at one point and really just didn’t want to have anything to do with me because of the speculations, because of everyone else speaking on our behalf. Pero ako bilang lalaki, I’ll pursue her. Paninindigan ko. I want to get to know her slowly,” he said. “You mean a lot to me. You motivate me into going to work every day and I just enjoy who I am now and I want to pursue of trying to get to know you better. I just want to say I’ll be here for you as a friend or maybe even more. Thank you, that’s all I want to say,” he said. Billy Crawford, however, insisted that Coleen was not a third-party that caused his break up with singer Nikki Gil last year.